At Te Rito, Te Puia’s weaving school, you can watch craftspeople at work and see the skill and artistry that goes into producing traditional Maori clothing. When the first Maoris arrived in Aotearoa, they found a place much harsher and colder than mild, warm Hawaiki. In their homeland clothes had been mainly a matter of personal adornment. Now they were a necessity. Materials for clothing came from the forest and the land. Cloaks were fashioned from the skins of native dogs and from the feathers of birds, particularly kiwi. The hardy and abundant flax plant was an especially important resource. 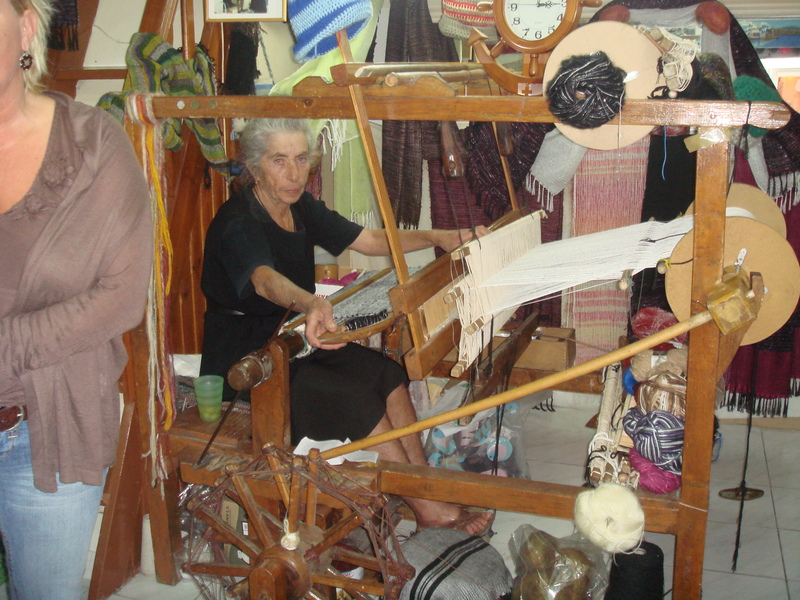 The fibres were separated from the leaves and the fine thread woven into warm and supple garments and into bags, nets, blankets and wall coverings. Patterns and designs of great beauty and significance evolved. Although, with the arrival of the Pakeha, Maori embraced a range of new materials like cotton and wool, they retained traditional designs and methods of weaving. 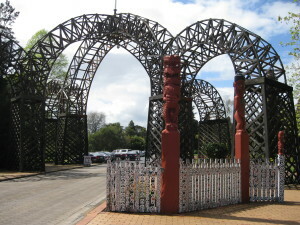 Te Rito, the weaving school at Te Puia opened in 1969. Its first Director was Emily Schuster, daughter of a master carver and niece Rotorua’s legendary Guide Rangi. 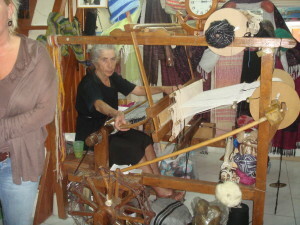 She worked at the school, teaching and promoting women’s crafts until her death in 1997. Te Rito trains students in traditional methods of weaving, including, taniko (macramé), tukutuku (reed panels), harakeke (flax weaving) piupiu . It offers day and night courses as well as training sessions and workshops on Marae around the country. Visitors to Te Rito can observe and photograph students as they learn and practise the ancient traditions of weaving. Some of the works produced in Te Rito can be bought at the Taonga Gallery and Gift Shop. Rotorua is to Aotearoa New Zealand as Florence is to Italy – a centre and show case of art and culture. Generations of Rotorua crafts people have kept the traditional arts of carving and weaving alive and brought them to the high art that they are today. A long-established and robust tourist industry has created an environment where they can flourish. 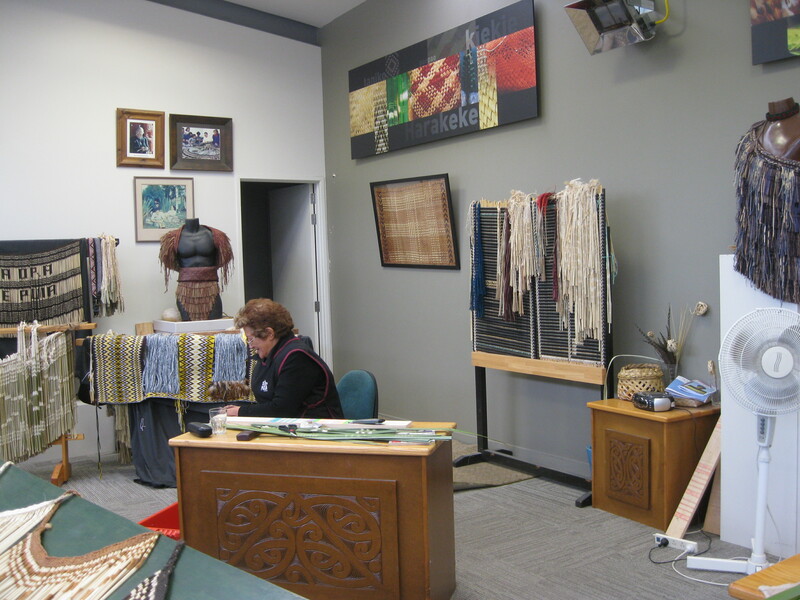 To see carvers and weavers at work, be sure to visit Te Rito, the weaving school and Te Wananga Whakairo at Te Puia.